A pre-warning, this review will contain spoilers for the previous books in the series. Read at your own risk. Wow. I literally just finished this book. It blew me away. Like, I think I'm on Neptune or something right now, this book was so amazing. Chosen at Nightfall is the final book in the Shadow Falls series by C.C. Hunter. C.C. does an amazing job messing with my feels. She does everything just right, so that I am completely overwhelmed by feels, but in a good way. The book did not murder or harm my feels in any way. Which, let me say, was a welcome reprieve. Books recently *cough*Clockwork Princess by Cassandra Clare*cough* have simply harmed my heart. Chosen at Nightfall caused my heart to leap and soar, there was some pain, but everything is wrapped up in the end. There are a couple strings left untied, but they will lead perfectly into the sequel series about the main character's best friend Della, which comes out next year. 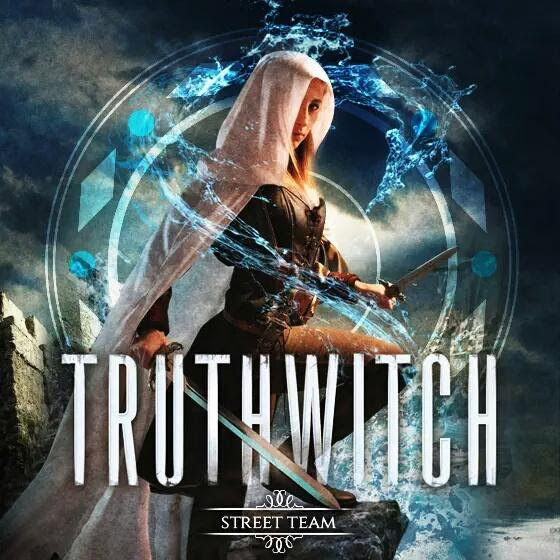 The main character is Kylie Galen. In short, her father and grandmother are dead ghosts who visit her on occasion, her mother and stepfather are divorced, her mother is dating a man Kylie believes to be a creep, and her grandfather and great-aunt are WAY overprotective. But somehow, she manages to love her family anyway. Oh, and I forgot to mention something. Kylie was dating a guy named Lucas. Turns out, he cheated on her. To his credit he didn't go through with the other girl, and never planned to, but still. And then there's Derek. He may not be the love of her life like Lucas, but he's a steady constant. He's always there when she needs support. In the book, Kylie will choose one of the boys mentioned above. Kylie is a REALLY strong character. She makes a lot of tough decisions sixteen year-olds should not half to make. Yet somehow, she makes them with pride and grace, even though she doesn't always realize it. 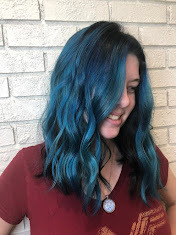 These decision making skills have also made her the official relationship guru at Shadow Falls (the camp and school she attends with other supernaturals). The fact that she actually has good relationship advice completely baffles her. Kylie is also a strong person who doesn't back down, though this can sometimes (okay, very often) lead to her being obnoxiously stubborn about some things, it also makes her relatable. The writing in this book is superb. C.C. Hunter is able to perfectly portray the voice of a teenage girl going through teenage issues. Not necessarily normal issues, but teenage issues non the less. The story is powerful and has a clear, and good, message. One of the characters, a woman named Holiday who is like an older sister to Kylie, often talks about people's quests. Meaning, you set a goal for a period of time or for life. Kylie has a reoccurring quest to discovery who she is. This is an issue often addressed by teens. The teen years is really a time when we change, as well as discover who we are. And the author shows just that. Each of the characters goes through a journey in the book and the series, slowly discovering themselves and just what they stand for and how far they're willing to go to make change happen. For more info on the author, check out her Facebook page and website. Also check out the series Facebook page. There's no question about it, I give this book five stars! When Kylie Galen entered Shadow Falls Camp, she left her old life behind forever and discovered a world more magical than she ever imagined. A place where you’re two best friends can be a witch and a vampire…and where love doesn’t happen the way you’d expect. When Kylie’s most powerful enemy returns to destroy her once and for all, there’s only one way to stop him—to step into her full powers and make a stunning transformation that will amaze everyone around her. But her journey won’t be complete until she makes one final choice…which guy to love. Should she choose to the werewolf who broke her heart but will give anything to win her back, or the half-fae who ran from their attraction before they had a chance? Everything she’s learned at Shadow Falls has been preparing her for this moment—when her fate will be revealed and her heart claimed forever. 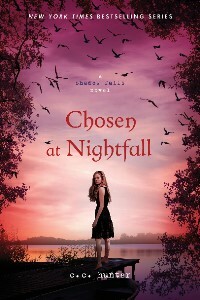 From author C. C. Hunter comes Chosen at Nightfall, the final book in the New York Times bestselling Shadow Falls series about a camp for paranormal teens.